We are always looking for dynamic and energetic professionals to join our mission to bring hope and healing to marriages and individuals in need of help. 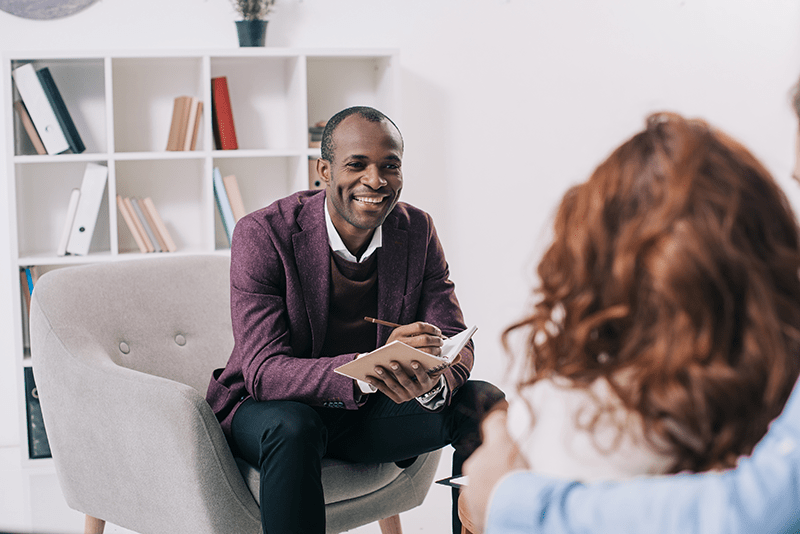 The Marriage Recovery Center is a fast-growing therapy practice comprised of a team of highly professional and skilled therapists, counselors, and coaches. We use solution-focused therapeutic techniques in order to help our clients meet their goals effectively and efficiently. We have clients worldwide, so most of our business is done virtually and you have the benefit of being able to work from a home office! Our dedicated Client Care Team will do all the hard work for you, including marketing, client intake, appointment scheduling, and more! Have your own practice? Work when you want to! With our flexible scheduling system, you choose your availability and we’ll fill the slots! We believe that once-a-week counseling often ends with a disappointing list of communication tools and little resolution of the real problems. We use intensive therapy to help bring greater clarity and deeper insight into their issues. Dr. Hawkins, Director and Founder of the Marriage Recovery Center, shares how the decision to try something different can be a great catalyst for replacing old habits with healthier patterns in a marriage.